Operating a warehouse facility is often a requirement for companies that handle the production and shipment of their own products, especially for those companies that want to save money and have control over the entire process of production and delivery from start to finish. And, as virtually every warehouse owner or operator knows, one of the keys to running a smooth and profitable operation is a scale that can accurately measure products and shipments with a minimal margin for error. A scale is one of the key ways to keep business costs down, especially as shipping rates rise at all of the major companies who typically distribute company products. If a scale is off just by a bit, that error will be multiplied exponentially each day. Every single shipment will, according to the scale, weigh more than it actually does. That means a higher shipping rate for every box stored in the facility. Likewise, if the scale is inaccurate in the other direction, shipping companies might refuse a package or send it back to where it came from. Businesses will be frustrated, and customers will be unlikely to return. The key to running an efficient, cost-effective warehouse operation that best serves consumers is to find an accurate warehouse weighing scale that will operate within an exceedingly small margin of error. The scale must also be produced with high-quality materials, able to withstand the often chaotic nature of warehouse life. Luckily, technology and manufacturing continue to march forward and create better warehouse weighing scales for businesses that depend on their facilities for their profits and longevity. The worst mistake a warehouse operator can make is to simply assume that “a scale is a scale.” While all scales perform essentially the same function, they are quite different in terms of how much product they can weigh, how the measurement is calculated, and how they’re built. Scales come in a variety of shapes, sizes, and types, and each one is appropriate for a different kind of warehouse environment. Before selecting from one of the many warehouses weighing scales available, here’s what business owners should know. 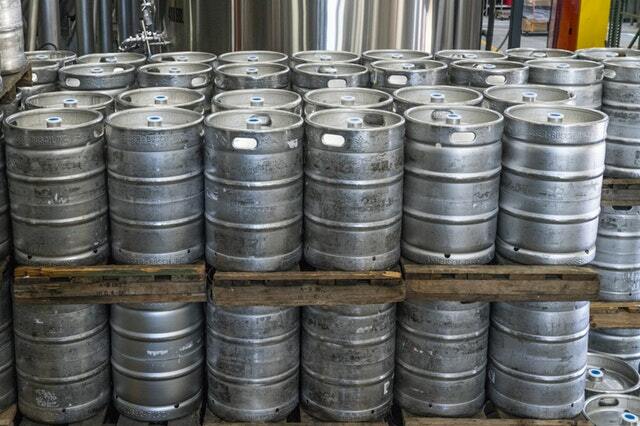 Virtually every scale on the market, whether it’s intended for a warehouse, gym, or even a bathroom, has a rated maximum capacity that it can withstand. For warehouse scales, this capacity often soars into the hundreds of pounds, as most warehouses ship out a number of very heavy packages each day. Warehouse operators might be tempted to buy a scale that meets their “typical” package weight of, for example, 800 pounds. That might seem like a good idea, but it leaves minimal margin for error. If a warehouse typically measures packages and shipments that come in around 700 or 800 pounds, they should consider a platform scale, capable of weighing packages that weigh up to 1,000 pounds. It creates a buffer that isn’t just good for potentially heavier packages, but is also good for the scale’s durability. Placing an excessively heavy package onto a lighter scale could result in serious and expensive damage to the scale and its mechanisms. The most common thing measured by warehouses is generally a standard cardboard package full of products that are being shipped out to customers. In some cases, those cardboard packages might be exchanged for heavy machinery. But in some more rare cases, typical machinery or cardboard boxes might be exchanged for liquids, hazardous materials, or other unique objects that demand a unique kind of warehouse weighing scale. Before deciding on the type, size, and capacity of any scale that is going to be purchased for a warehouse environment, be sure to consider the material that it will be use to weigh. Scales that measure liquids operate in a significantly different way than those scales that measure the weight of packages or machinery. Likewise, those warehouse environments that deal with harsh or toxic chemicals should look for a scale that can handle exposure to such compounds on a regular basis. Lesser scales, or those designed simply to measure dry goods, will often be prone to extensive damage if they come into contact with a harsh chemical or a toxic substance. This can create a severe loss of money for the warehouse that encounters such an issue. Warehouses span the gamut from the traditional distribution facility to highly technical chemical storage and development facilities. 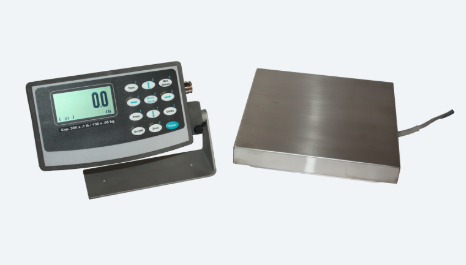 Luckily, companies like us, Arlyn Scales, are tuned into the various kinds of warehouse weighing scales that service this industry, and there are plenty of options for every unique need. Be sure to pick the right one in order to ensure safe, accurate, and durable measurements for a long time after the purchase itself. A warehouse environment that spends its time weighing lighter, outbound shipments likely doesn’t need a very fancy scale to get the job done. After all, boxes are pretty light to carry and easy to place onto a scale of any height or size, so long as the scale itself is big enough to get the job done. But boxes aren’t the only thing stored in warehouse facilities, and they’re not the only thing that needs to be measured. Companies that store major pieces of heavy equipment in their warehouse facility will not want any part of lifting that equipment onto a scale. 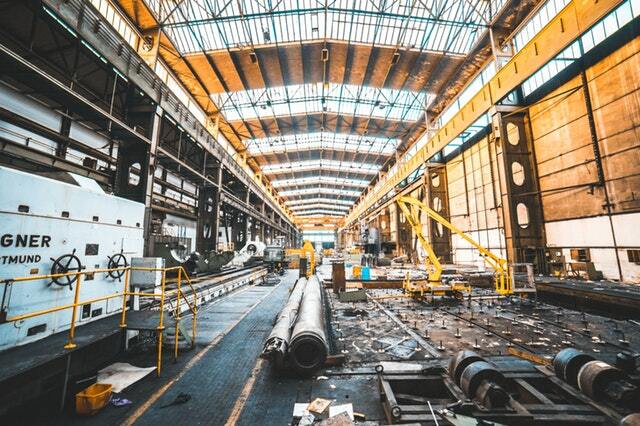 Most people won’t take kindly to lifting several tons of steel and mechanical parts onto a platform no matter how much a company promises to pay them. For this reason, warehouse weighing scales for those companies involved in heavy equipment can optionally come with guides and ramps that result in much easier and more accurate measurements. 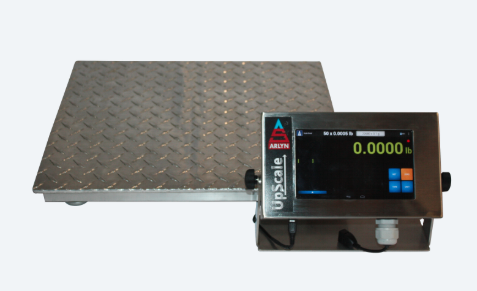 Such heavy-duty scales are also far more durable than the smaller strain gauge scales that are typically used to measure boxes and other smaller items. For those in the business of weighing chemicals and other substances, scales can have “lips” to catch any spilled fluid, saving it from hitting the floor and being considered a total loss. Especially for harsh chemicals, this feature can be a life-saver for warehouse workers. In both cases, special scales are designed to meet the needs of unique industries and provide them with the best path to safety, accuracy, and profitability. One of the biggest differentiators when shopping for warehouse weighing scales is the technology used to make the measurement itself. Capacity, adaptability, and special feature are all important, but they must be complimented by an accurate reading of the object’s weight. That is, after all, why any warehouse operator is in the market for a new scale to begin with. Generally speaking, two technologies compete for the business of warehouse owners: newer surface acoustic wave technology, and competing strain gauge options. Surface acoustic wave technology, patented by us, Arlyn scales, is an industry-leading way to produce highly accurate measurements that are simply not possible when using older strain gauge scales. These more accurate scales produce a weight reading that is often exponentially more accurate, and that means that businesses can save a significant amount of money over the long term when they purchase one of these high-tech options. Because of the way these innovative new scales are built, they’re actually highly durable and able to absorb the occasional shocks that any warehouse scale will experience. While they’re certainly more accurate and a bit more durable, surface acoustic wave scales can be a bit too expensive for some smaller warehouse environments, and those companies that are operating on a relatively strict and limited budget. For those businesses, the best option is likely a strain gauge bench scale or a strain gauge platform scale, that can withstand their company’s maximum capacity requirements. Though they’re a bit less accurate than surface acoustic wave scales, they certainly should not be ruled out as an option for businesses that need a durable, affordable, and extremely common scale for their packages, machinery, or liquids. Warehouse operators who are in the market for a new scale should contact us and engage our experts to help choose the best, most durable, and most accurate product for their unique needs.